Throughout the world there are many locations where the electrical power frequency is 50 Hertz. 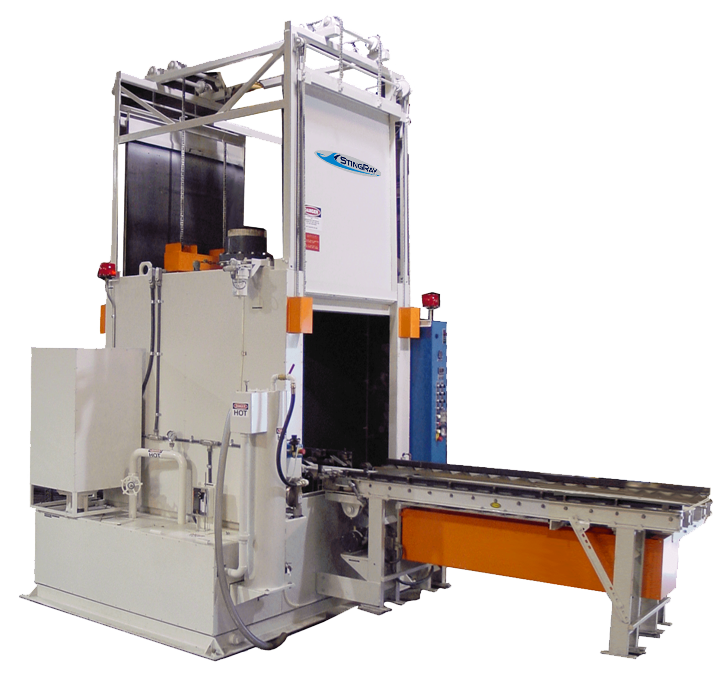 When 50 Hertz is your electrical supply, StingRay provides the necessary changes to the parts washer to operate with the identical performance parameters as 60 Hertz. StingRay's commitment to support and provide spare parts is evident in its parts washer design for worldwide use at 50 hertz. There is no difference in 50 or 60 Hertz performance. 50 Hertz performance is achieved using standard 60 Hertz, high efficiency simplex and duplex two stage pump systems making replacement parts readily available. Circuit breakers are used in lieu of fuses as US style fuses are not always readily available in other countries. Circuit Breakers provide additional service and testing ability as outputs are easily switched off with the circuit breaker instead of pulling fuses. 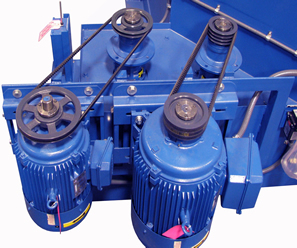 All motors and components are rated 60/50Hz to eliminate shortened life from running 60 Hertz motors at 50 Hertz. The single phase transformer rated at 50 Hertz has multiple taps to adjust the output voltage precisely to the actual incoming 3-phase voltage at the installation site. Voltages vary from country to country and though nominal voltage is the same, the adjustable taps can make a big difference in adapting the parts washer to the local site conditions. The design of the 50 Hertz system makes replacement parts are readily available throughout in the world, regardless of where the STINGRAY equipment is installed. 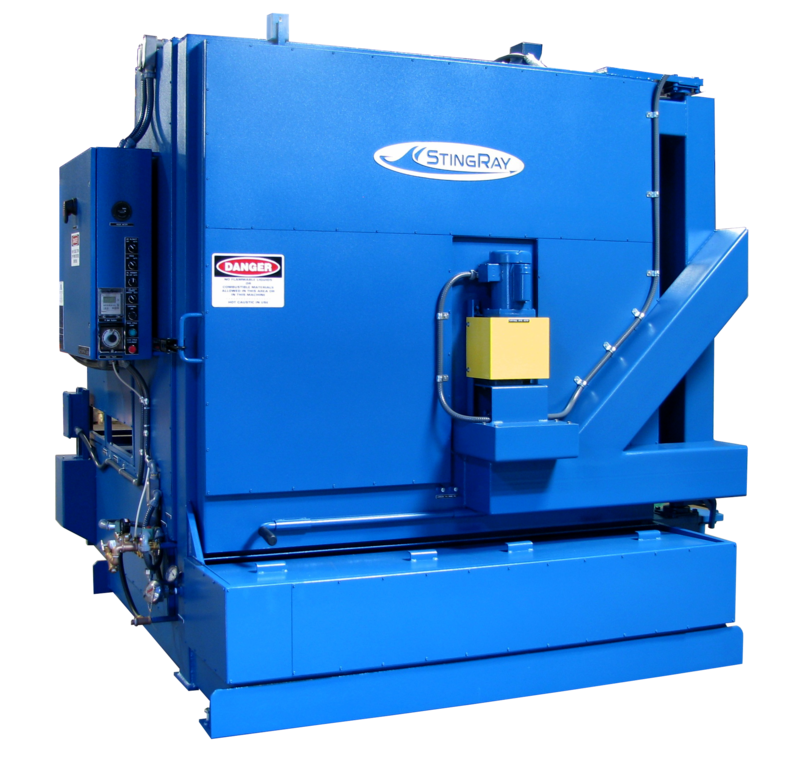 StingRay World Model washers offer additional safety and county specific conformance packages. Please discuss any specific code compliance issues with your application specialist. The spare parts provided and our 24/7 website SUPPORT assure that your washer is never without need parts and repair assistance. StingRay offers assistance with worldwide freight through our well establish network of freight forwarders. We can handle the entire freight process or work with your forwarder. Our crating and packaging process for air, ocean or container shipments assures your washer arrives damage free.